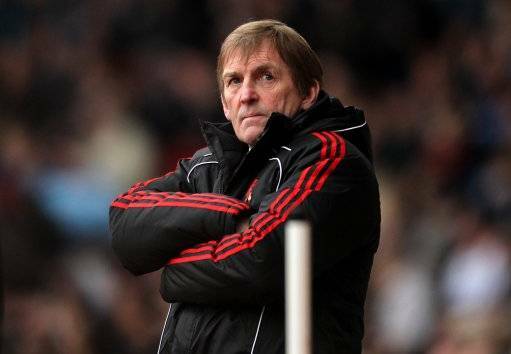 Liverpool manager Kenny Dalglish has reluctantly accepted that his side were lucky to leave Braga with just a one-goal deficit to chase down at Anfield next week, after watching his bereft charges fall flat during their Europa League tie in Portugal last night – and having watched the match, I’m inclined to agree. A dour first-half was compounded when a lunging Sotirios Krygiakos sent Mossoro sprawling to the turf as the Brazilian midfielder broke into the Liverpool area and his fellow countryman Alan swept the resultant penalty kick past Pepe Reina after just 17 minutes. A Gerrard-less Liverpool struggled to carve out anything of note as an unspectacular midfield of Christian Poulsen, Jay Spearing, Lucas and the largely ineffective Joe Cole failed to provide anything more than pink-faced toil for the majority of the game (my how they missed Luis Suarez’s busy-bodying), while Dirk Kuyt was left to his own devices up front. Only in the 58th minute, and the introduction of Andy Carroll, did Dalglish’s side begin to shift – with the 6’3” target man winning almost all of the long balls being pumped into him and finding red shirts into the bargain, despite getting his chin pummeled by Kaka’s snide elbow as the game drew to a close. However, Braga still had the best goal-scoring opportunity of the second-half when left-back Silvio saw his arcing volley thump back of Reina’s crossbar. “To only be 1-0 behind, considering the start we had, might be a bonus. Give the lads credit, they picked things up and raised the tempo and with a bit of luck we could have got an equaliser. “You don’t know if it is a good or bad result until the second leg is over but there is no-one in there who is pleased with the performance or the result. “He is a good option for us. He is still trying to get himself fit but we know what his attributes are – he just needs a few more games to get himself toned up. “It was quite evident he made quite a difference when he came on. He is good, he got a lot of the ball and made a good contribution to an improved performance – but we have to be patient and be responsible. “We have got a week till the next game and we’ll not depress ourselves too much but we will certainly go over it and sort out some of the problems. We’ll hopefully be able to bring you some lovely photos of the game (as well as Man City’s 2-0 defeat in Kiev) as soon as the PA get their arses in gear! The volley that hit the crossbar was in the first half, not second. actually when you compare side by side both the portuguese league and premier league only have 2 big clubs each according to european titles. Porto and Benfica are bigger clubs than all the premier league teams except united and pool.